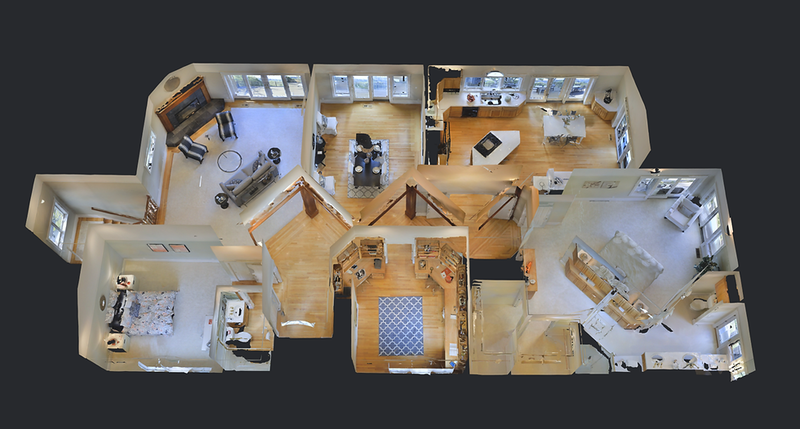 BluEntCAD explains the importance of 3D virtual tours for selling architectural services. Clients can get the feel of walking around in the building, moving from room to room and checking out specific features, all constructed virtually to look realistic and drawn to scale. This helps them make an informed decision and also keeps them aware of what to expect from the final product before a brick has been laid. Houston, USA – Monday, March 12, 2018 : Gone are the days when architects would pitch to clients using sketches or even CAD drawings. Technology has allowed us to move from the two-dimensional paper or screen to a three-dimensional representation. This technology, called 3D virtual tour, allows a 360 degree preview of the building design. It effectively allows a 3D real estate tour, where the client can picture every inch of the structure before it is built. Imagine yourself as a customer, looking to build a house, for example. A few years back, your architect would have shown you a blueprint, floor maps and described the designs he envisioned. You would have put in your own preferences, and the project would be edited accordingly. At no point during this planning phase can you actually see the project brought to life in front of your eyes. This puts you at a significant disadvantage, obviously, because you can only grasp so much from looking at 2D representations of your 3D structure. Fast forward to today, and the architect is now using tech that allows an immersive experience. Your property has been constructed virtually for you to examine. You can walk through the rooms, check out the hallway, see the windows open and shut, alter the positions of interior decor and pick the colors that seem to suit the place, all before a brick is laid. Such an experience is a 3D virtual tour, where software creates a virtual object that resembles the final product to be built. BluEnt explains how 3D virtual tours can revolutionize the sphere of architectural services. Ensure that the client is on the same page as you. As is the case with any creative field, both service provider and client need to be on the same page for the idea to work. With a complete 3D visualization portfolio, your client can personally check out all the features of the property and suggest edits if necessary. Communicate your ideas more effectively. Often it becomes difficult to communicate an idea in a way that is comprehensible to the person on the other side. With a 3D rendering, that is never a hindrance since you can actually show the change to your client on the virtual tour and then get their approval. Use virtual reality to accelerate the design process. What is 3D architectural visualization, if not a realistic representation of what to expect from the final project? VR can be used to cut out the dramatization in artist renderings and maintain transparency with the client. It also allows you to advertise your work on social media and television. Moreover, be clear about costs before signing off on a project – find out if client-specific elements like design reworks are included in the price or not. Design elements like 3D tours come at very reasonable prices considering the impact they have, so it is always advisable to spend that little bit more to ensure your property is built exactly the way you want it. BluEntCAD stands head and shoulders above its competitors in 3D rendering and 3D virtual tours. You can get the full experience of how the property is going to look and feel, even before work begins on its construction. BluEntCAD specializes in 3D renderings based in Houston, Texas who take pride in their strong team of young millennials and experienced professionals. This balance helps them to achieve the maximum value in every project. Click here to know more about us!